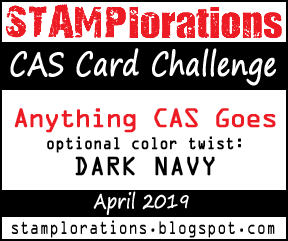 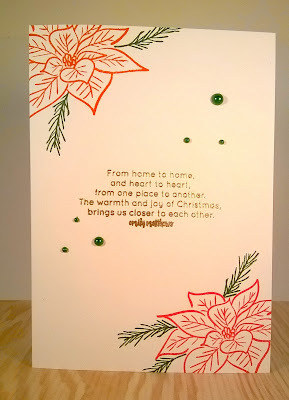 This week I challenged myself to make as many Christmas cards as I could from one stamp set, Ok so maybe it was more than one set but it theory I used one image set and 2 sentiment sets. 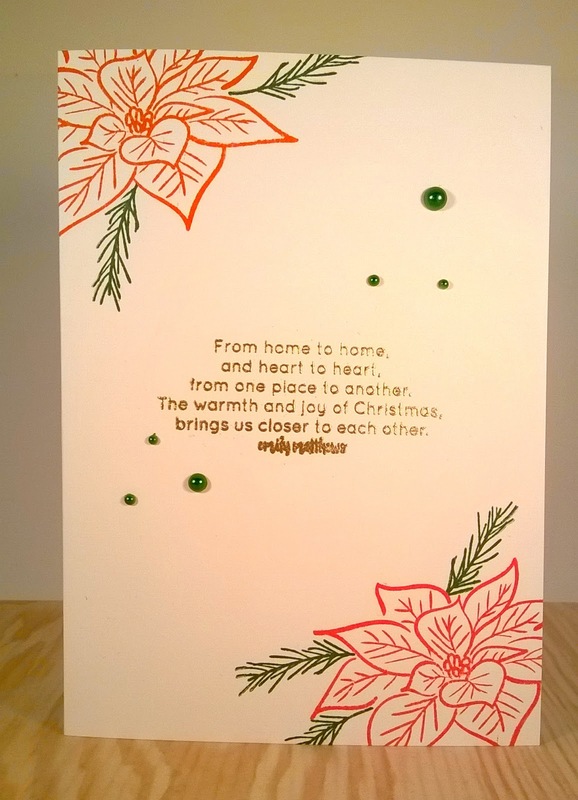 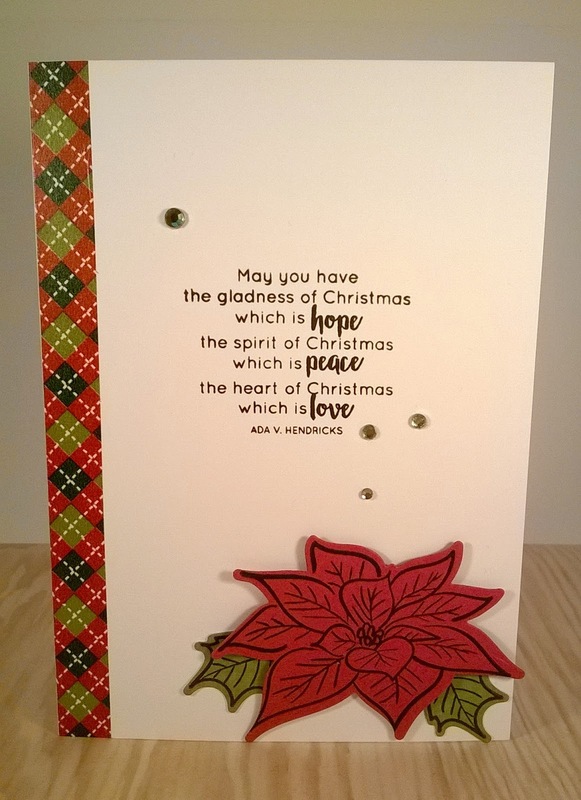 I choose to use Altenews Poinsettia and Pine stamp set, along with the Lyrical Script sentiments and Holiday Wishes verses. 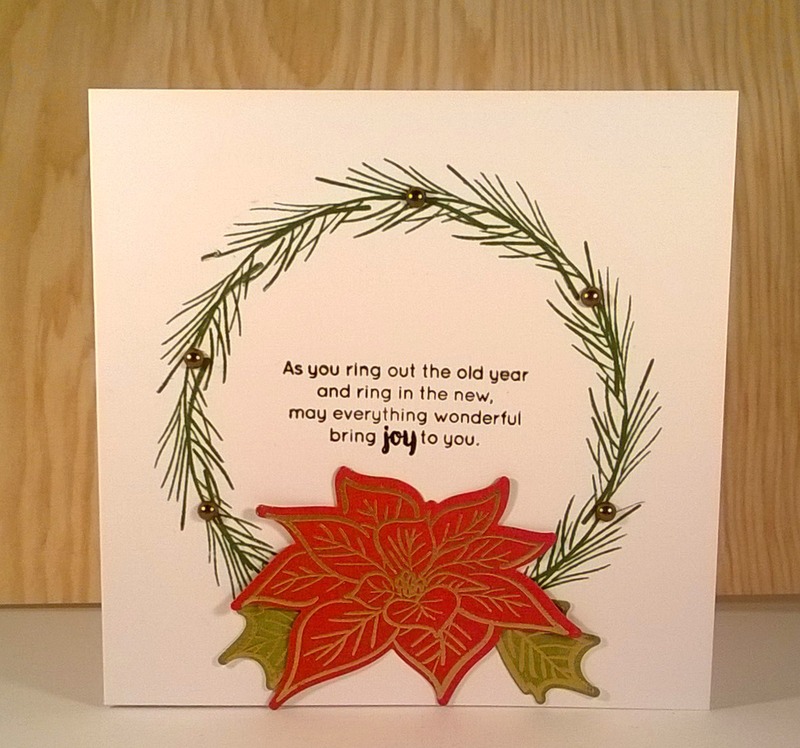 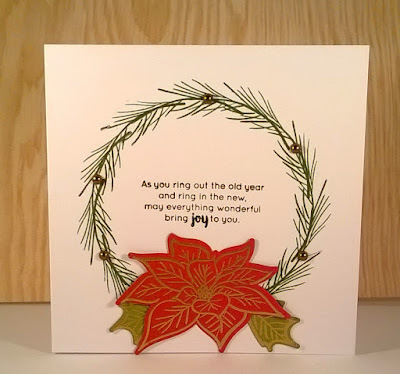 I also used the coordinating Poinsettia and Pine die set. 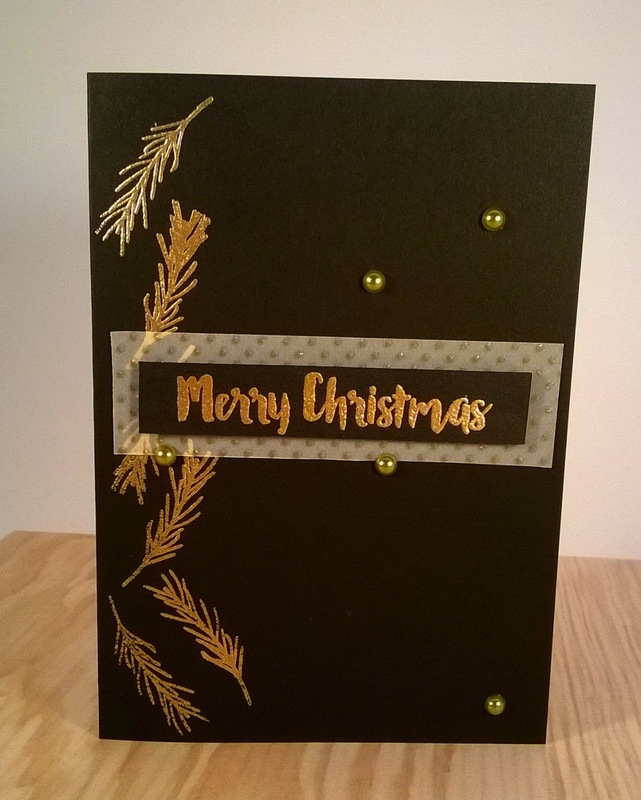 Black and gold embossing is so indulgent and elegant. 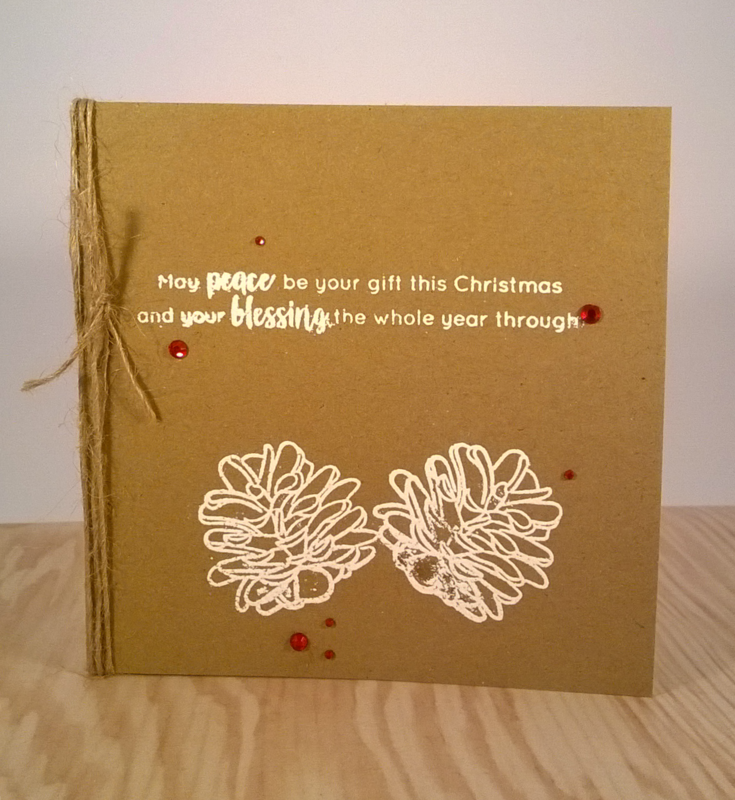 I love the organic feel of the white ink, Kraft card and twine. 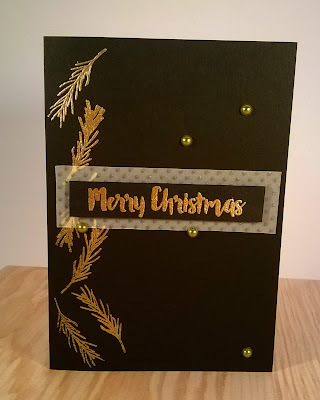 I couldn't help going black and gold again. 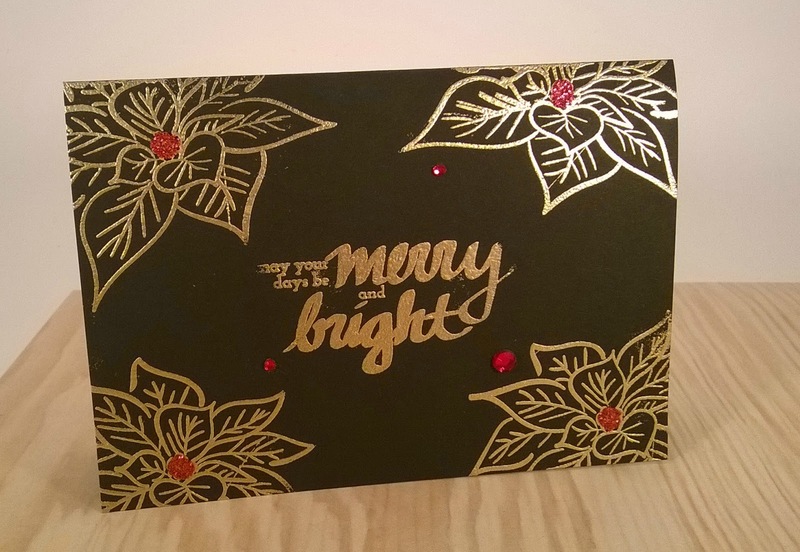 A bit of gold embossing and simple red and gold line art. 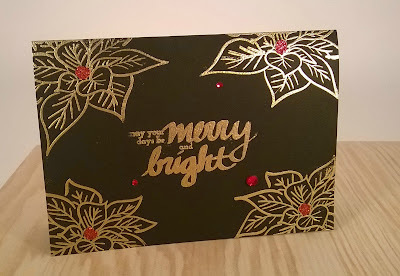 This time I added some Washi tape and a few gems. 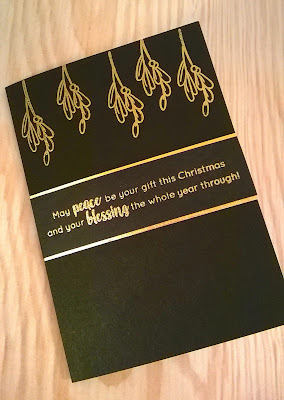 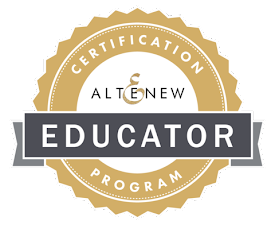 Black and Gold plus glittered vellum. 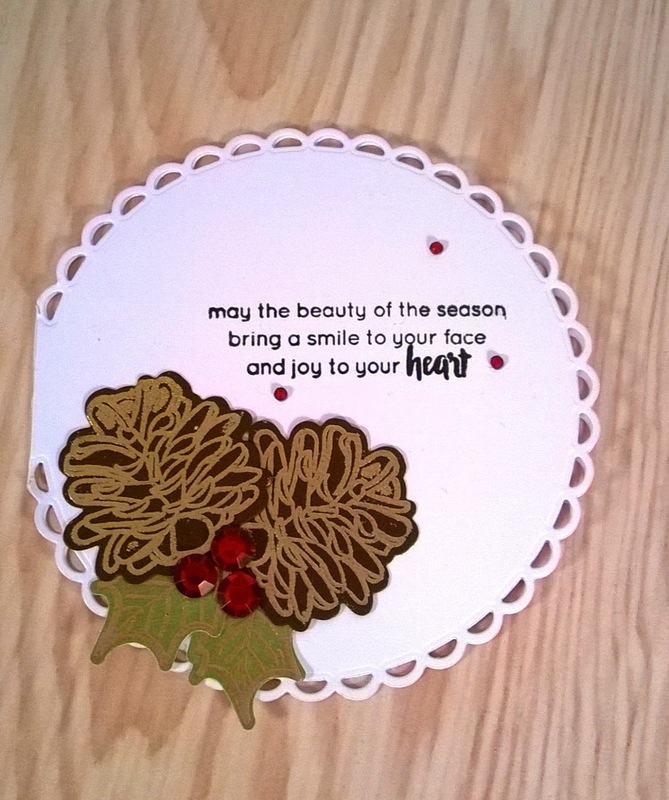 I die cut the Pine cones and leaves and embossed them in gold, I love the cute circle card. 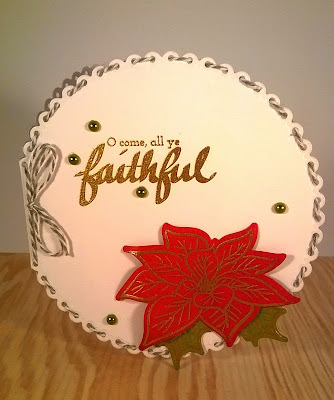 For the this circle card I threaded bakers twine through the edge, I added a gold embossed sentiment and die cut the Poinsettia and leaves. I used the fir sprig to create a wreath and added a sentiment in the middle. 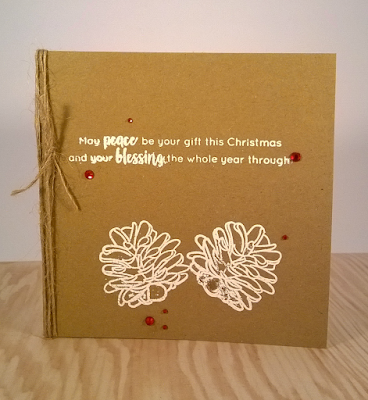 As you can see the possibilities and style you can achieve with this set are endless. 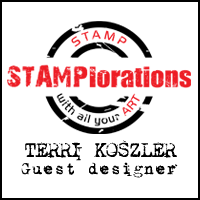 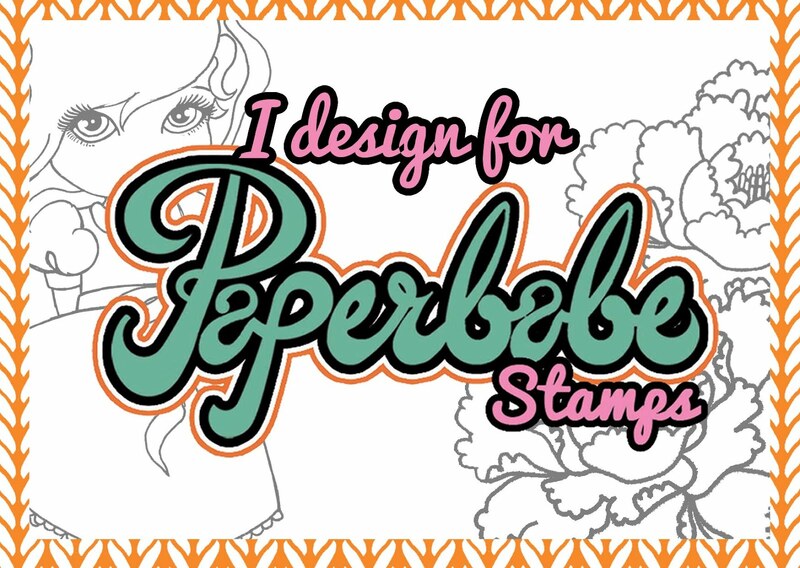 I have lots more ideas and will certainly be sharing some more ideas with you.